… is located in the heart of Black Perigord, in the center of the main sights of the Dordogne, between Montignac with its famous Lascaux Caves, Sarlat with its medieval city and Les Eyzies de Taillac with its museum of prehistory. • have a private garden area with stunning views over the treetops in the distance with Castle Pelvezie. • have been restored in the perigourdine tradition with interior stone walls and generous exposed woodwork. Marc, your host, offers a warm and personalized welcome. He will be at your disposal to suggest beautiful places and some good addresses. 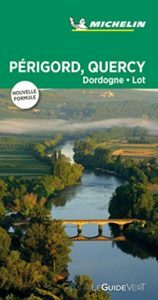 Our page “THE PERIGORD.” and the book that you find in your cottage give you even more ideas about the visits and activities you can do in the region. Upon arrival, you will find in your house, in addition to the necessary coffee, filters, tea, oil, vinegar, condiments, a snack made of local products, accompanied by a bottle of wine from the region. This is what you will discover in La Mouynarie.